These adhesives from SeamBoss come in a multitude of colors to match all brands and colors of solid surface materials. Two Mixer Mixer Tips are included with each Tube of SeamBoss Adhesive. SeamBoss is a hard surfacing adhesive designed for solid surface, engineered quartz, and natural stone. 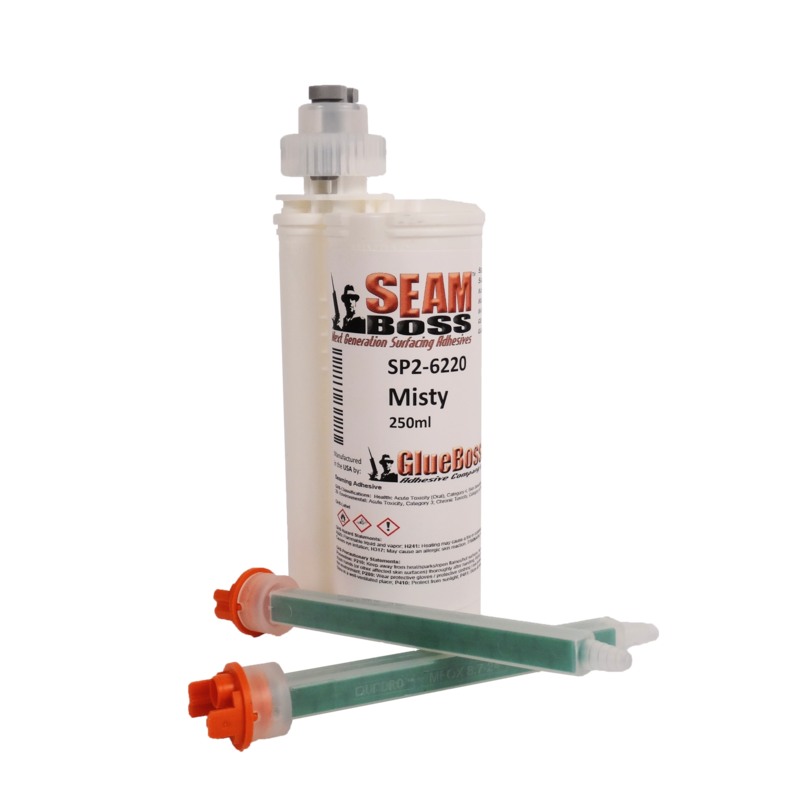 Combined at a ratio of 10:1 (10 parts resin, one part activator), Seam Boss adhesives have a working time of 10 to 15 minutes. SeamBoss provides the seasoned fabricator the opportunity to apply the adhesive to vertical surfaces, as well as horizontal surfaces, without dripping. Upon gelation, the fabricator has an extended time window to de-rope, or trim with a single bladed straight edge razor blade, the excess from the surface without ripping the adhesive out of the joint. The SeamBoss activator is pigmented; this means that when the fabricator sees the color, he knows that the product is catalyzed, and will get dry/react/get hard 100% of the time! This is a 250 ML adhesive cartridge.